Over the last few days, I’ve taken a bit of a break from Civil War topics. A recent news article inspired me to dive into a subject near and dear to my Army experience – tactical communications. 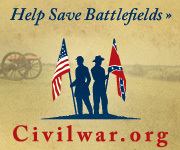 Not the kind of stuff that fits in with a Civil War blog. You folks would be bored, and I’d wander far off topic. XBradTC (translation for those 19th century minds – former M2 Bradley track commander) over at Bring the Heat was kind enough to offer space for a series of posts. I plan to trace the evolution of the US Army’s tactical radio equipment and doctrine from World War II up to the present. If you are interested, please check them out. The first went live today. Next up is a look at the World War II radios and combat networks. UPDATE: Part two covers World War II radios. Part three covers post-Korean War and early Cold War. Part four looks at the transition to solid-state radios before the Vietnam War. Part five discusses the AN/PRC-25 backpack radio in detail. Part six looks at tactical communications in Vietnam. Part seven discusses the pressures and requirements on communications systems after Vietnam. Part eight introduces the SINCGARS digital radios of the 1990s with a look at the first two generations of that system. Part nine concludes the discussion of SINCGARS with emphasis on the data networks the later generations of that system would support. Part ten is my observations of 70 years of tactical radio evolution and some thoughts about the future.